Someone definitely needs to buy this! It’s almost hard to believe they are selling it on Craig’s List. But they are. And it looks like the real deal. 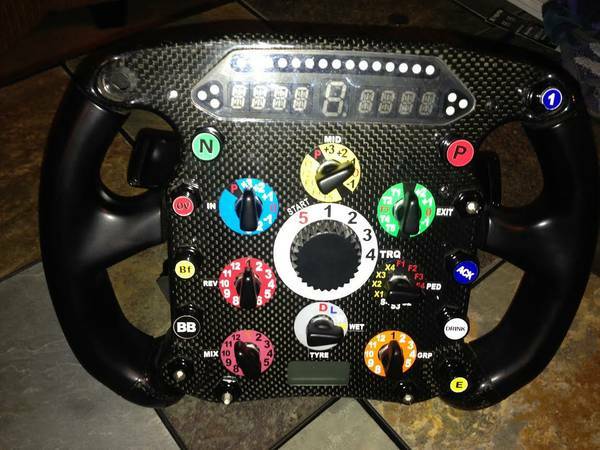 Carbon chassis. 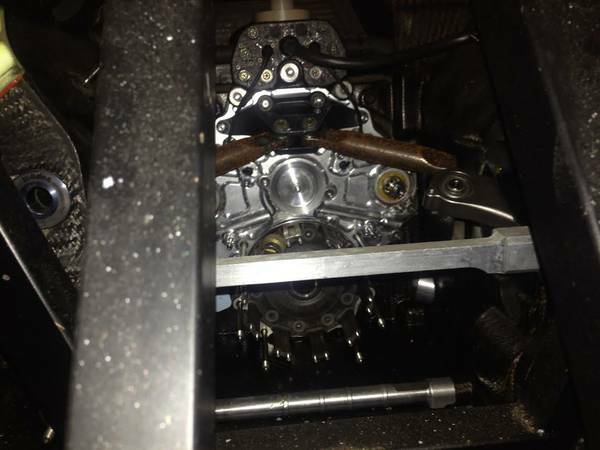 Seven speed sequential gearbox. Pirelli tires(where do you get more of these by the way?). BUT it’s missing the engine. I’m sure one of you guys can find something to fit in there and make it run. You could run it at vintage races for sure and maybe some lunatic will find a way to enter something like Pikes Peak with it. I doubt you’ll make it through the hairpins but maybe you can find the steering setup they used in Monaco that year. The car looks pretty complete other than the engine which used to be where those square steel tubes are now located. 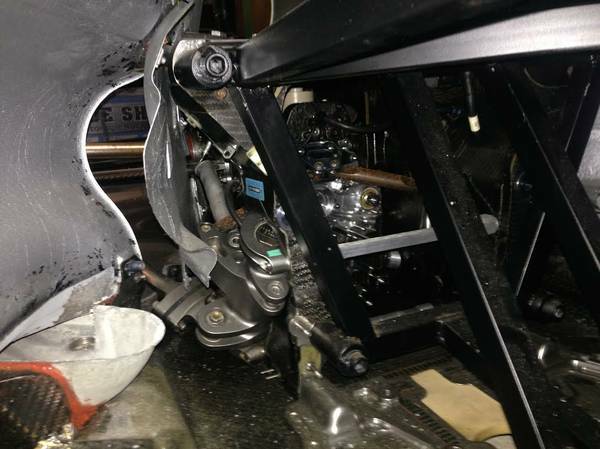 The engine is an integral part of the car so there’s now way to move it around without some way to attach the rear suspension to the chassis. I love the carbon fiber suspension components. And I bet those half shafts are crazy light. I don’t fully understand this next picture. It looks like the back of the engine which the seller says the car is missing. Maybe thats the input for transmission? Someone better with F1 cars will probably know. Check out the steering wheel. It would be so much fun to lap a circuit making adjustments to the car like its the Starship Enterprise! I assume the covers on the radiator were for shipping? But look how nicely packaged they are! 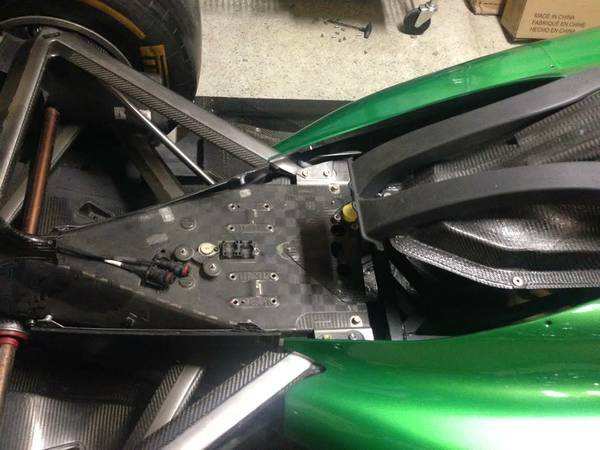 This really does looks like a running chassis that Lotus used during 2011. 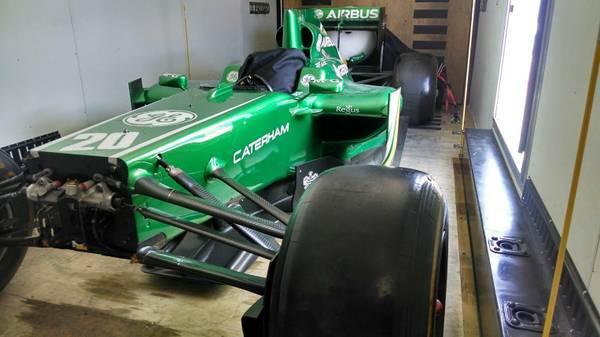 When I first saw that ad I assumed it was a show car used to promote the team. 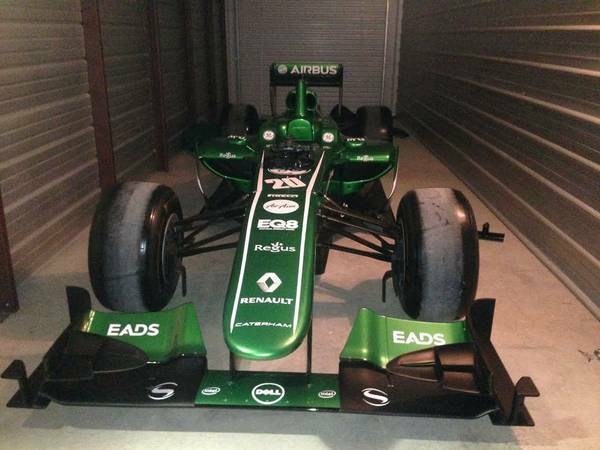 Here’s the ad for when this car is long sold and someone is curious what a 2011 F1 car(minus engine) sells for. 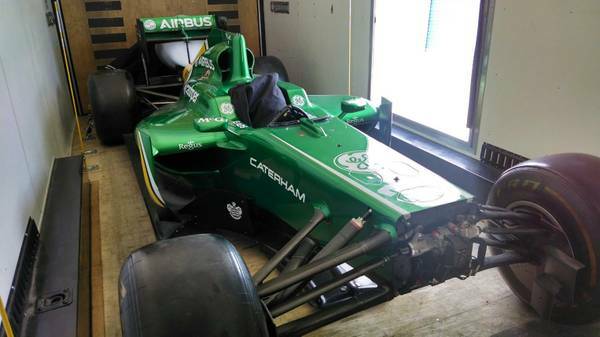 I am looking to either sell or trade my authentic 2011 Lotus T128 ex-race car turned show car with a 2013 Caterham body. 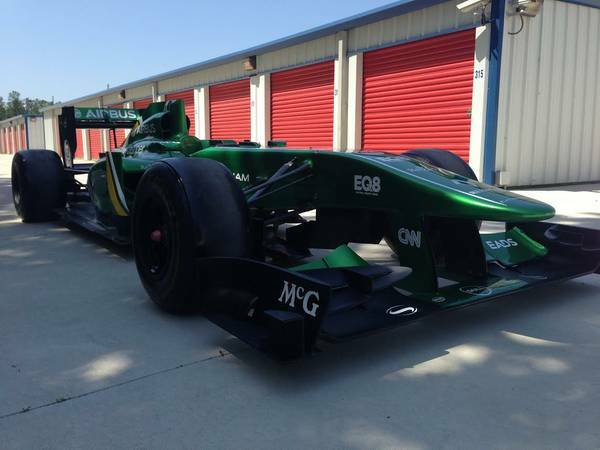 This is the newest retired F1 car in the US! Feel free to email me with any questions or trade offers. This vehicle does not have an engine. The Lotus T128, known prior to its launch by its project number TL11, is a Formula One motor racing car designed by Mike Gascoyne for Team Lotus for use in the 2011 Formula One season. 2011 saw the car abandon its Cosworth engine in favour of one developed by Renault. The T128 was launched online on 31 January 2011. Team Lotus retained an unchanged driver lineup in 2011, with 2010 drivers Heikki Kovalainen and Jarno Trulli racing the T128. 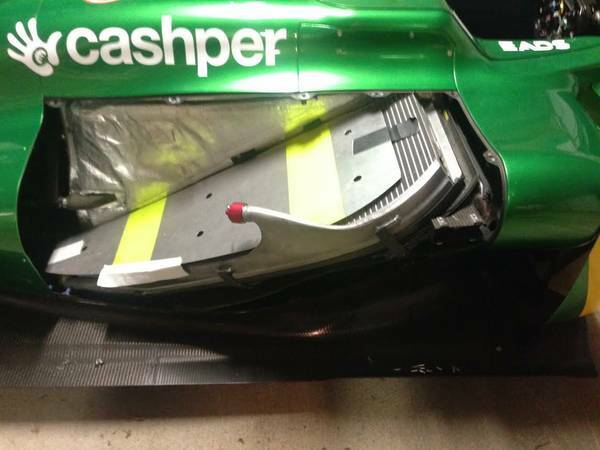 It was confirmed that the team would start the season without the Kinetic Energy Recovery System, but senior figures suggested they would adopt it if the car proved successful, however the team continued for the rest of the 2011 season without KERS. The team changed from the Cosworth CA2010 engine used in 2010 to the Renault RS27 series, as well as exchanging a transmission developed by X-Trac to one built by Red Bull Technologies. The design of the T128 also incorporated a “bladed” rollbar similar to the one developed by Mercedes in 2010, but thicker and with sturdier air intakes to conform with FIA regulations. If you have $95,000, go buy this and stick an engine in it! You can find the ad here on Craig’s List.